In recent years, international advocacy has contributed to increased awareness of forced sterilization as a human rights violation, including as a result of our work at the International Justice Resource Center (IJRC). Around the world, healthcare providers and others continue to sterilize people without their informed consent, most often targeting those who are Indigenous, living with HIV, are persons with disabilities, or who experience discrimination on other grounds. Just this month, IJRC advanced our partners’ advocacy on this issue at the 63rd Session of the United Nations Commission on the Status of Women (CSW), and Human Rights Watch published a report on involuntary sterilization of transgender persons in Japan. The past three years have also seen judgments from regional human rights courts on forced sterilization and important statements from other bodies. This post details the results of advocacy before regional and United Nations human rights bodies, summarizing the growing body of recommendations, statements, and judgments that more fully define forced sterilization as a human rights violation and guide governments in addressing this harmful practice. 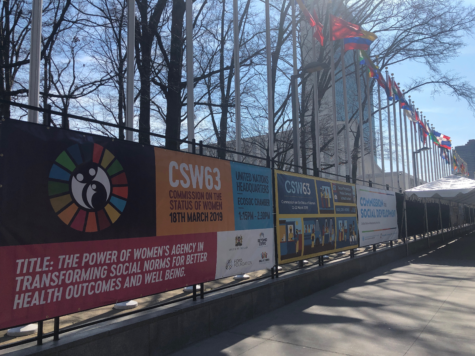 At the CSW last week, IJRC hosted a parallel event on preventing and redressing forced sterilization, with perspectives contributed by advocates working on these issues in both Canada and Kenya. Watch Nerima Were of KELIN explain the organization’s advocacy on behalf of women living with HIV in Kenya, who were sterilized without their knowledge or through coercion. In addition to the parallel event, IJRC also made a written submission, summarizing the relevant human rights standards and making recommendations for State action to prevent and redress forced sterilization. IJRC’s participation in the CSW is part of our ongoing advocacy support on forced sterilization, most notably assisting Indigenous rights lawyers in bringing international attention to the forced sterilization of Indigenous women in Canada. Since November 2017, IJRC has assisted our partners in securing multiple advocacy opportunities before international bodies, including the UN Committee against Torture (CAT) and the Inter-American Commission on Human Rights (IACHR), helping to shape international standards and the national conversation on this topic. Importantly, these interventions resulted in strong concluding observations from the CAT, which urged Canada to take specific measures to prevent, investigate, and criminalize forced sterilization, and in a detailed and pointed set of recommendations in a statement from the IACHR in January 2019. Learn more about this work on our webpage on forced sterilization of Indigenous women in Canada. This advocacy has contributed to widespread media attention on forced sterilization of Indigenous women in Canada, and prompted responses from Canadian officials. At the end of January 2019, the Canadian House of Commons Health Committee agreed to conduct a two-day study into the prevalence of coerced sterilization in Canada. [Globe & Mail] Additionally, Health Canada and Indigenous Services are preparing this month a working group, on this issue, that is intended to bring together representatives of the Canadian territories and the medical community. [Globe & Mail] However, participation is voluntary, and certain provinces in Canada have already declined the invitation to participate. [Globe & Mail] Much work remains to secure implementation of human rights bodies’ recommendations, including investigation and redress of reported instances of forced sterilization. Sterilization, when performed without informed consent, violates an individual’s rights to dignity, humane treatment, health, family, information, privacy, and to freely decide the number and spacing of children, among others. Forced sterilization removes a person’s ability to reproduce, usually permanently and irreversibly. In some instances, governments authorize these procedures, as is the case when national laws require transgender persons to undergo sterilization in exchange for official recognition of their gender identity. In other instances, governments fail to prevent forced sterilization through appropriate oversight and regulation; and, in many places, governments continue to deny redress to survivors, including those sterilized pursuant to prior eugenics and population control policies. Over the past three years, regional and universal human rights courts and monitoring bodies have increasingly addressed forced sterilization as a human rights violation and have highlighted how forced sterilization affects vulnerable or marginalized groups. See IJRC, Developments in International Human Rights Law. In its 2017 judgment in A.P., Garçon and Nicot v. France, the European Court of Human Rights held that the French requirement that transgender persons undergo a sterilization procedure or other medical treatment before changing the gender identity on their birth certificates violated their rights to respect for private life. See ECtHR, A.P., Garçon and Nicot v. France, nos. 79885/12 52471/13 52596/13, Judgment of 6 April 2017. The European Committee of Social Rights found a similar requirement in the Czech Republic to violate the European Social Charter. See ECSR, Transgender Europe and ILGA-Europe v. the Czech Republic, Complaint No. 117/2015, Merits Decision, 15 May 2018. Further, in 2017, the African Commission on Human and Peoples’ Rights in its General Comment No. 4 confirmed that forced sterilization is an act of sexual or gender-based violence that may amount to torture or inhuman treatment. See ACommHPR, General Comment No. 4 on the African Charter on Human and Peoples’ Rights: The Right to Redress for Victims of Torture and Other Cruel, Inhuman or Degrading Punishment or Treatment (Article 5) (2017), para. 58. At the universal level, several human rights treaty bodies have addressed forced sterilization in recent years. The UN Committee on Economic, Social and Cultural Rights in its 2016 General Comment No. 22 identified laws requiring sterilization for legal recognition of one’s gender identity as a violation of States’ obligation to respect the right to sexual and reproductive health. See CESCR, General comment No. 22 on the right to sexual and reproductive health (article 12 of the International Covenant on Economic, Social and Cultural Rights) (2016), para. 30. Both the UN Committee on the Rights of Persons with Disabilities and the Special Rapporteur on torture affirmed that the practice of forcible sterilization may constitute cruel, inhuman or degrading treatment. See CRPD, General comment No. 3 on women and girls with disabilities (2016), para. 32; Report of the Special Rapporteur on torture and other cruel, inhumane or degrading treatment or punishment, 5 January 2016, UN Doc. A/HRC/ 31/57, para. 45. Additionally, the Independent Expert on sexual orientation and gender identity, in a 2018 report, called attention to violence against transgender persons in healthcare settings, and called on States to ban “sterilization and other coercive medical procedures imposed on lesbian, gay, bisexual, trans and gender non-conforming persons.” See Report of the Independent Expert on protection against violence and discrimination based on sexual orientation and gender identity, 11 May 2018, UN Doc. A/HRC/38/43, para. 100. Moreover, the Special Rapporteur on the rights of persons with disabilities, in 2018, referred to evidence that “the sterilization of women and girls with intellectual and psychosocial disabilities continues to be prevalent” and called on States to “[g]uarantee that health-care services and programmes include a human rights-based approach to disability, are non-discriminatory, seek informed consent prior to any medical treatment, respect privacy and are free from torture or other cruel, inhumane or degrading treatment.” See Report of the Special Rapporteur on the rights of persons with disabilities, 16 July 2018, UN Doc. A/73/161, paras. 40, 74(3). For more information on women’s rights in international law, forced sterilization, or the forced sterilization of indigenous women in Canada, visit IJRC’s Online Resource Hub. To stay up-to-date on international human rights law news, visit IJRC’s News Room or subscribe to the IJRC Daily.